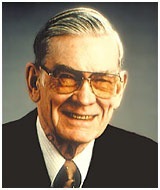 Berkel graduated from the University of Illinois in 1946 with a B.S. in Civil Engineering. A year later he began his career in deep foundation construction working for Intrusion-Prepakt in Chicago. While there he was the project engineer for the first commercial project supported on ACIP piles in the U.S. In 1959 he resigned from Prepakt and started his own company, Berkel & Company Contractors, specializing in pressure grouting and the installation of Auger Pressure Grouted (APG) piles. Over the decades, he grew the company to become one of the largest piling contractors in the U.S.
Funeral services were held Friday, November 8, 2013, in Lenexa, Kan. In lieu of flowers, the family suggests donations in Berkel’ s name to the University of Saint Mary, Leavenworth, Kan., the Sister Servants of Mary, Kansas City, Kan., or Sacred Heart Church in Shawnee, Kan.
Mr. Berkel was a Charter Member of Deep Foundations Institute (DFI), Berkel was the recipient of the 2007 DFI Distinguished Service Award, and a major donor to the DFI Educational Trust Scholarship Program. You can read more about Mr. Berkel here. 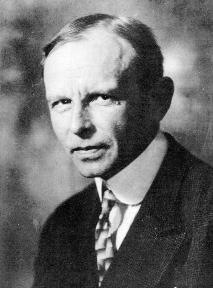 Happy Karl Terzaghi’s Birthday 2013! 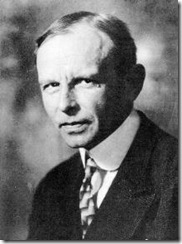 Happy Karl Terzaghi’s Birthday, my friends! Yes, it is time to raise our coffee, espresso, tea, wine, beer or other beverage to toast the Father of Modern Soil Mechanics as has been our custom here at the DBA blog. Throughout the book, Goodman does an excellent job of showing the different facets of Terzaghi, and this is no exception. He had a reputation of being a tough, direct, and straight-forward engineer that did not pull punches. Here we see a somewhat softer side as he comforts a colleague, who was an expert in his own right. Representatives with the Society of Civil Engineers, including national president Andrew Herrmann, along with state Transportation Secretary Sherri LeBas are expected to attend. They will place a plaque on the bridge, distinguishing it as one of 250 such historic landmarks around the world. The honor places the Depression-era built bridge in the company of the Eiffel Tower, the Panama Canal, the Hoover Dam and the U.S. Capitol. The TIMED (Transportation Infrastructure Model for Economic Development) Program is the single largest transportation program in state history. The TIMED Program was created by Act 16 of the 1989 Louisiana Legislature and was voted for by the people. The $5 billion improvement program includes widening 536 miles of state highways to four lanes on 11 project corridors, widening and/or new construction on three major bridges and improvements to both the Port of New Orleans and Louis Armstrong International Airport. The Program is designed to enhance economic development in Louisiana through an investment in transportation projects. DBA was involved in the test shaft and base grouting program for the drilled shafts supporting the new pier added to supplement the existing piers of the bridge. Check out previous posts here. Ah, October….here in the U.S. the leaves are beginning to turn as fall begins (or, in some places, fall off due to summer heat and lack of rain). The beginning of fall marks a lot of things, such as the Major League Baseball playoffs (insert favorite team name here! 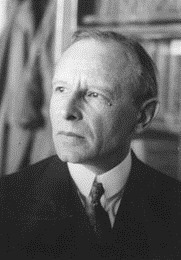 ), but more importantly the anniversary of the birthday of Karl Terzaghi! I know that the past few years I have written an extended post highlighting something from Professor Terzaghi’s life or contributions to soil mechanics. Alas, this fall I let the date creep up on me and my schedule this week left me little time to spend on a more detailed post. I hope to resume that tradition next year. Nonetheless, after a busy day of conference calls, design reviews, and calculations of pile resistance (or capacity for all of the folks still living in the ASD world), there will be time for a toast today, or maybe even a slice of birthday cake, in honor of our hero, Karl Terzaghi! Randy Post at Geoprac.net has set up 12 Terzghi Tweets for today. A timely ode to our Profession. Be it silt, be it clay. Leaving dirt on our faces. Still our cause it is just! Not copyrighted. Forward at will. Happy Karl Terzaghi’s Birthday 2011! Greetings to all Terzaghi fans! Yes, it is that time of year again, where our thoughts turn to the anniversary of the birth of one of the greats in our field. Last year I had a football themed post (college football, in case you were wondering…and that is American football for our fans outside the U.S.) since Terzaghi’s birthday was on a Saturday. Since I am not a big pro football fan, and since I used football last year, I figured I would do something different for this year’s weekend post. The August 2011 edition of the International Society for Soil Mechanics and Geotechnical Engineering ISSMGE Bulletin is headlined with an article on the history of ISSMGE: “THE ISSMGE FROM 1936 TO 2011 A RETROSPECTIVE ON THE OCCASION OF THE 75TH PLATINUM JUBILEE ANNIVERSARY” by Kenji Ishihara and Michele Jamiolkowski. The Bulletin is in two parts at this link. 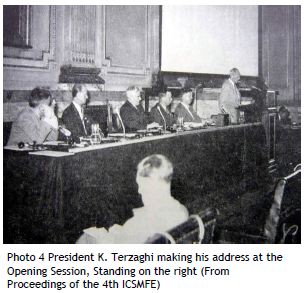 The article is an outstanding work providing an excellent account of the start of ISSMGE as an international conference and its evolution into the ISSMGE we know today. The time had come to hold a Conference aimed at exchanging and sharing information on Earth and Foundation Engineering. It was Professor Arthur Casagrande (assistant professor of Harvard University) who sensed the timing, conceived the idea and carried out the herculean task of running the conference all the way through, in his role of Secretary General, with K. Terzaghi (Professor of Technical University of Vienna and visiting Professor of Harvard University) as Chairman. Professor Peck once remarked “Our Society owes an enormous debt to Arthur Casagrande for his conviction that the time was right for the International Conference and to his tremendous efforts to organize it“. Since the first ICMSFE was so successful, it became clear that the Conference should not remain a one-off event but should, instead, be continued within a few years, possibly being held in Holland where earthwork engineering is so crucial to the country. It was also requested to set up a permanent international organization. Thus it was decided to establish International Committees consisting of National Committees with K. Terzaghi as President and A. Casagrande as Secretary. It was also decided that at the next Conference the International Committees would submit the draft of the Constitution and of the By-laws, which are essential for the Society to become a permanent organization. There was at that time a widespread awareness that it was the moment to set up a common denominator institution that would group engineers with diverse backgrounds but involved in our discipline. And the rest, as the saying goes, is history! It is commonly recognized that K. Terzaghi is the originator of modern soil mechanics and foundation engineering and therefore father of our profession. After tracing the history of development, the writers had a strong belief that this is true. Not only was he always a leading figure in the forefront, but he conveyed strong messages on the role and importance of the soil mechanics and foundation engineering every time he participated in the ICSMFE. We are very much impressed by his enthusiastic and heartfelt message to our community. No less important was the role played by Arthur Casagrande. He was instrumental in persuading the President of Harvard University to host the conference and carrying out all arrangements for organizing the first International Conference on Soil Mechanics and Foundation Engineering. The great success of this conference contributed greatly for establishing the place of soil mechanics in engineering practice throughout the world. He also dedicated himself to the ISSMFE as the 3rd President between the periods of 1961 in Montreal to 1965 in Paris. There is a saying that for a great religion to be established, there always are two key-role playing giants. For Christianity Jesus Christ is the originator and his disciple Saint Paul was the great evangelist. For Greek philosophy, Socrates was the great philosopher and it was Plato who was the greatest disciple. Terzaghi and Casagrande are considered as a combination in the same context. Without Terzaghi, Casagrande would not have been so well-known. Had there not been Casagrande, the fame of Terzaghi would have developed in a different format. Now neither I nor the authors are suggesting that soil mechanics is a religion, but their point on the timing and combination of Terzaghi’s and Casagrande’s work was critical to what we see as the field of soil mechanics/geotechnical engineering today. Without these two and others seeing a need, taking charge, and filling that need, we could very well be viewing things from a completely different framework. So as we reflect on this celebrated day, let’s remember not only Prof. Terzaghi’s great technical achievements, but also his role as a leader (along with many others) shaping our field of practice and our professional societies. October 2nd, is the day we (or at least a lot of us geoprofessionals) have all been looking forward to all year – the birthday of Professor Karl Terzaghi, The Father of Modern Day Soil Mechanics, born October 2, 1883. All for Terzaghi, stand up and holler!!!!! While our technology has allowed us to measure, analyze, test, and compute huge volumes of data, as well as investigate the highly complex nature of soil-structure systems, we sometimes get caught up in the details of precision. We try to be much more precise than the materials we work with truly allow. This is not to say we should totally throw away our technology, forsaking numerical models, design software, or sophisticated in-situ testing and return to the days of slide rules (though I can use one!). There are many times, however, that an “approximate forecast” is just as “accurate” as a calculation computed to a precise number. So, my friends, raise your glasses this weekend to toast Professor Terzaghi and our profession! Robert, Professors Terzaghi’s comments remind me of something I read recently in a book about precision shooting, particularly at long range. The author, who incidentally is both an engineer and top level shooter, was noting the difference between “precision” and “accuracy”. Precision is exemplified by being able to repeat something to close tolerance, as exemplified in the shooting community by benchrest shooters, who are primarily interested in shooting small groups of typically 5 to 10 shots. Hitting near the center of the target, whatever it is, is of secondary importance. Accuracy, on the other hand, requires the ability to hit what you are aiming at, precisely. In other words to take this to our field of endeavor, it’s possible to be “precisely inaccurate”, which the various software packages available to calculate almost anything enhance the possibility of. Speaking of slide rules, their greatest attribute is that you have to be able to estimate the answer, rather than just writing down what shows up on the display screen. Geoengineer.org is pleased to announce the launch of "Professor Ralph Peck’s Legacy Website". The Website has been developed to celebrate the life and legacy of one of the Heroes of the geotechnical engineering field and honor a distinguished geotechnical engineer for his dedication and contributions to the society as a teacher, author, and engineer. The Website includes a lot of resources such as biographical data, quotes, photos, powerpoints, and even videos of lectures by Professor Peck. The Shamsher Prakash Foundation has generously sponsored this activity. The website has been developed in collaboration with Mrs. Nancy Peck-Young, Prof. Peck’s daughter and was supervised by an international Advisory Committee of distinguished members of our community that had the luxury of knowing Prof. Peck and consists of Prof. Dobry, Prof. Cording, Prof. Prakash and Dr. Lacasse. The content of the website is divided in three parts: "About his life", "Publications" and "Resources". We hope that this resource will be a source of inspiration for the future generations of geotechnical engineers. We also encourage you to provide us with any additional resources/content and we will be glad to include it in the website’s content. Such a website is a fitting tribute to such an icon in the geotechnical engineering and construction industry. Make sure and check it out. 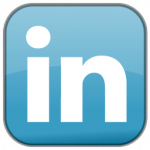 I have added a link on our sidebar in the Geotechnical Resources section. Yes, my geotechnical friends, another year has passed and it is again that special date in geotechnical engineering history: Karl Terzaghi’s Birthday! Each year we pause to recognize the birth of the Father of Modern Soil Mechanics. For those of you that this is the first year you have received this message, let me welcome you to my annual tribute to Professor Terzaghi and the geotechnical engineering profession. (If you do not want this annual greeting, please let me know and I will drop you from my list!). For this year’s reflection, I thought I would share a story from Professor Terzaghi’s biography: “Karl Terzaghi – The Engineer as Artist” by Richard E. Goodman (quotes in italics). 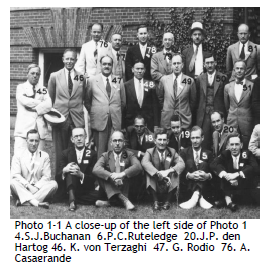 Terzaghi was in the U.S. in the fall of 1938 working on securing an appointment at Harvard. He received a lot of invitations to speak once word spread he was in the U.S. He organized them into something like a tour. “But he did not defer the invitation from Dean Grinter, of the Armour Institute of Technology in Chicago, because Karl knew that construction of new subway tunnels through soft clay was about to start under the heart of Chicago. At Armour Institute, he wisely chose to speak about the dangers of tunneling in soft clay beneath cities.” The lecture was on December 1, 1938. Representatives of the property owners along the subway right-of-way as well as the chief engineer of the subway department were in attendance. Both parties sought out Terzaghi as consultant and made offers. He eventually chose the offer to work for the city after requiring several conditions that including hiring Professor Ralph Peck, “beginning a job that propelled the young field of soils engineering.” The rest, as they say, is history. This story illustrates how the right words (a lecture, a presentation, etc.) at the right time in front of the right audience can pay huge dividends, both professionally and financially. Remember that every day is a great day to be in the field of geotechnical engineering and construction! Have a great Karl Terzaghi’s Birthday! I wanted to make a quick post on the passing of Dr. Lymon Reese – Dan’s mentor, Ph.D. advisor, and a great engineer. I’ll post more later as it becomes available. (and catch up posts on our normal activities that I am way behind on). Below is from an e-mail sent by the ADSC. We are sad to report that Dr. Lymon C. Reese, Professor Emeritus, University of Texas, Austin, and one of the world’s leading drilled foundation experts, passed away on Monday, September 13, 2009. Dr. Reese was an ADSC Honorary Technical Affiliate Member and a great friend to the ADSC and to the drilled foundation industry. 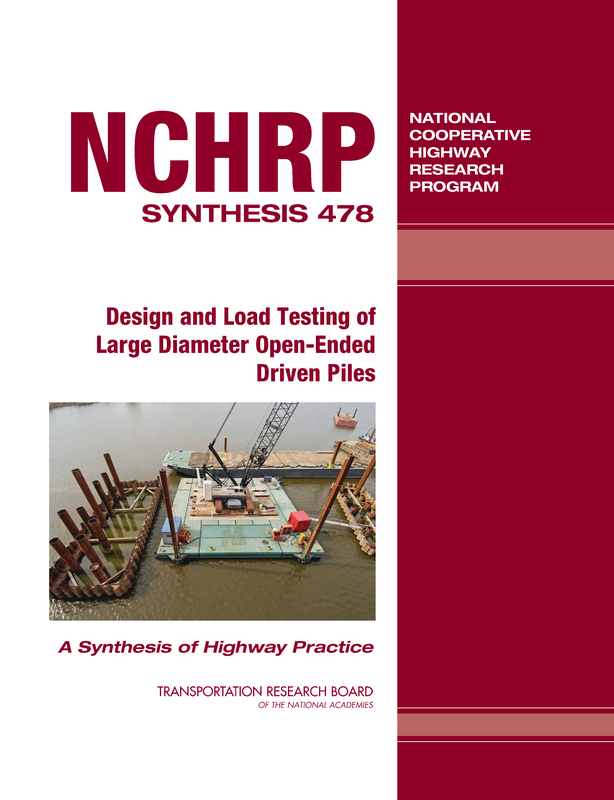 His seminal drilled shaft foundation research conducted for the Texas Department of Transportation and his subsequent writings are among the most important work ever conducted in the field. His graduate students have achieved international acclaim in their own right, and include: Dr. Michael W. O’Neill (deceased), Dr. Dan A. 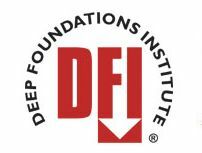 Brown, Larry Olson, Dr. Magued Iskander, Dr. James Long, and many others, all of whom have had a major impact on the advancement of the drilled shaft foundation industry. 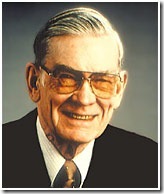 Dr. Reese was one of the last surviving early “giants” of our industry. At age 92, he remained a vibrant contributor to the profession. To say he will be sorely missed is an understatement. We have lost a most beloved friend. Further details regarding a Memorial Service will be posted on the ADSC website as they become available. I have been too busy to post more photos from my trips to New Roads, LA in the fall to help Steve with the work at the Audubon Bridge project. It has been a flurry of activity as they worked to finish installing, tip-routing, and load testing all of the shafts in the river (done in December!). They have also completed and tested the land test shaft on the west side of the river and begun installing the land shafts. Throw in a lot of pile driving, including some 5-foot diameter pipe piles for temporary bents, and it has been a very busy site. 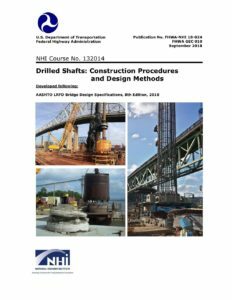 All of the various tip-grouting, O-cell load tests on drilled shafts, and PDA testing of the pre-cast piles has been successful. As of today, the Mississippi River has come up and slowed things down a bit, but they should get all of the foundation completed within the next couple of months. Some pictures I took on some of my trips are setup below. I have also experimented with embedding some video I took with my camera. The camera was not set on a very high video capture resolution, but I think they are good enough for you to get the idea of the shaft excavation and the pile driving activities. Excavating Shaft 5E with airlift.